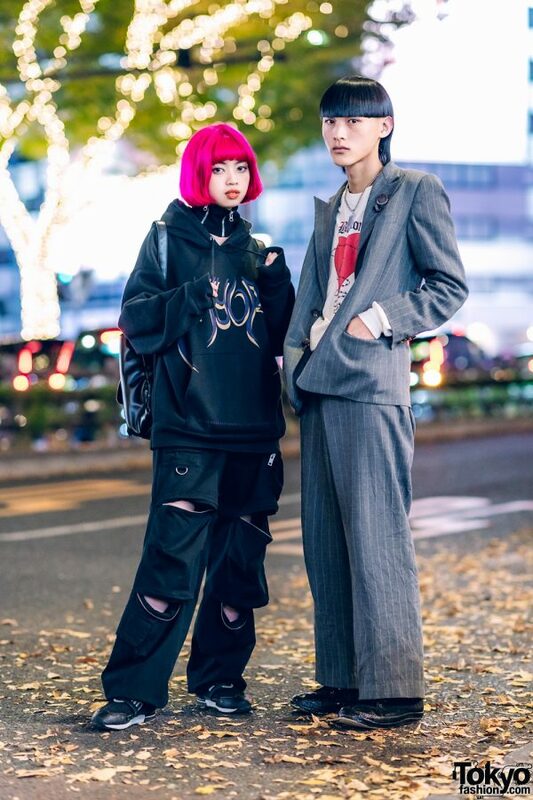 Catching our eye on the Harajuku street one evening with their cool styles are Ayumi and Mamichi. 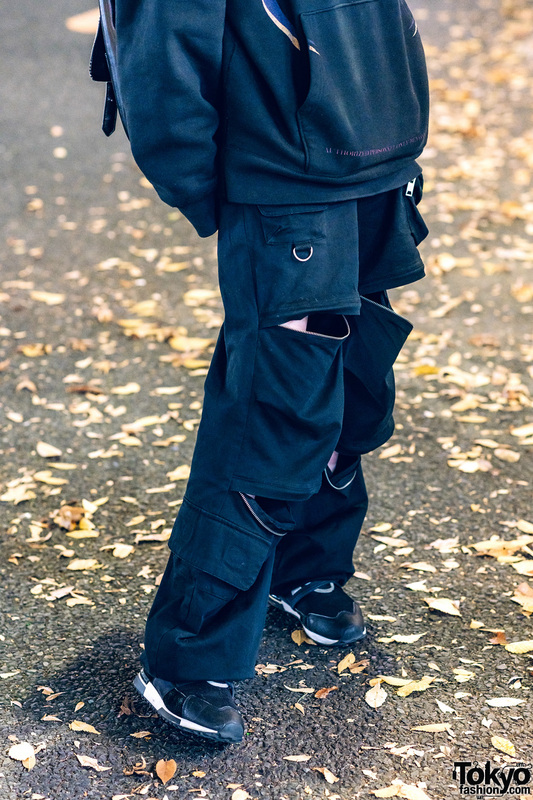 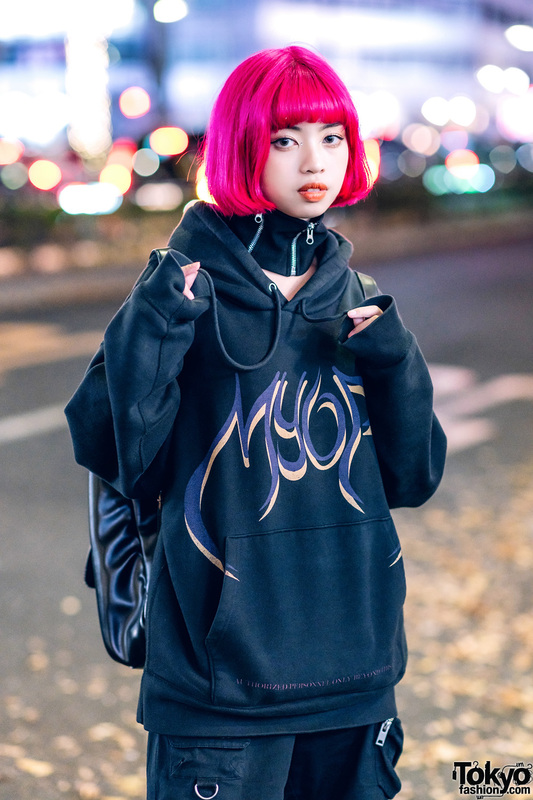 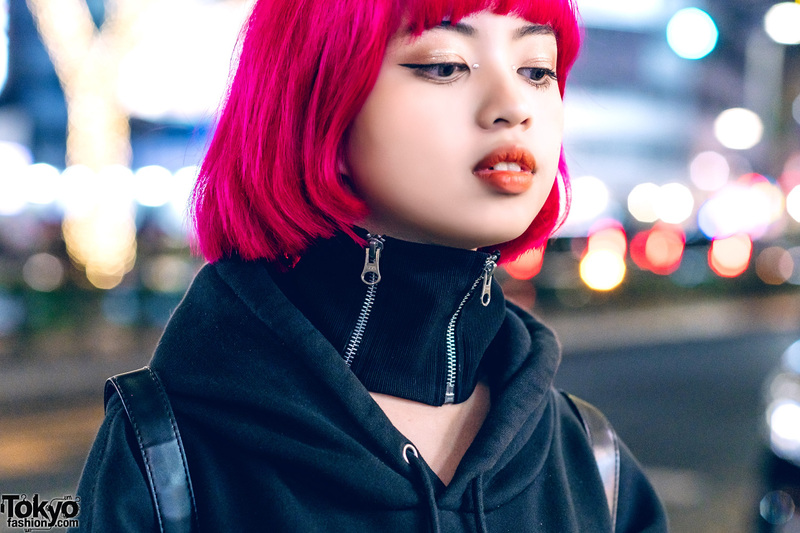 Pink-haired Ayumi stepped out in a black MYOB hoodie sweatshirt and black I.Am.Gia cutout pants, which features cutouts edged with zippers and side pockets. 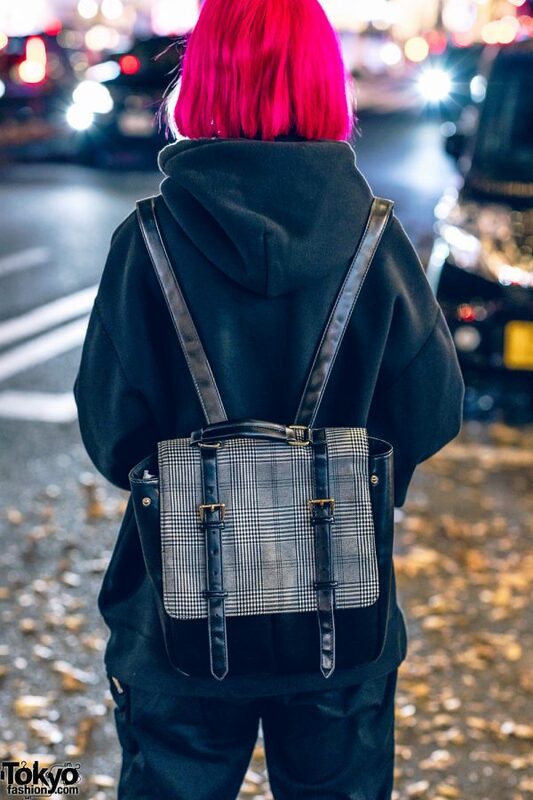 Black sneakers from 23.65, a black ribbed zippered neck warmer from Unknown Section, and a black satchel backpack with a plaid front flap rounded out her all black ensemble. 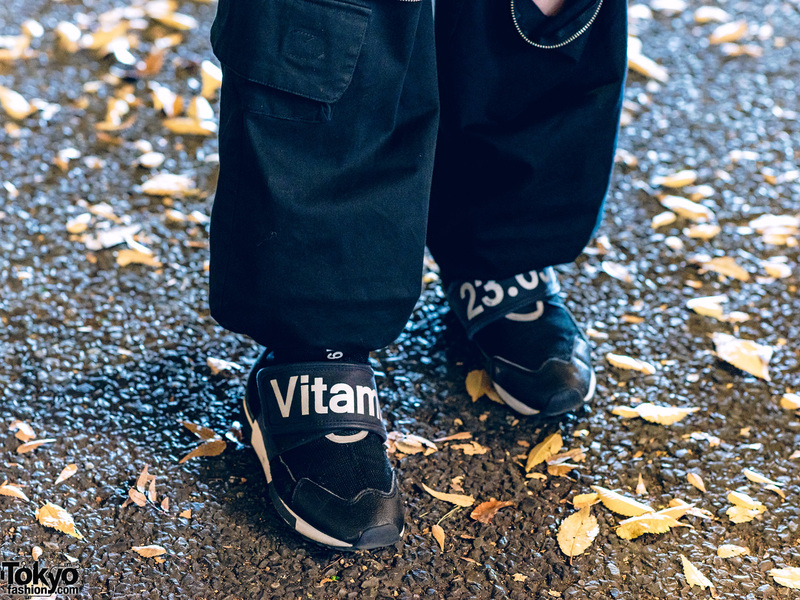 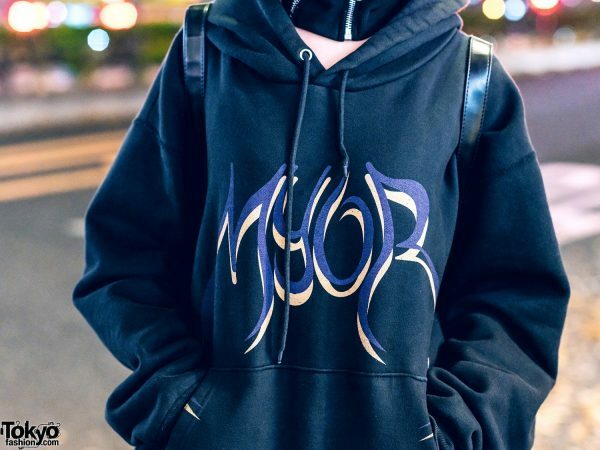 The 17-year-old Japanese fashion designer’s favorite fashion brand is Billion Tokyo (her own label), and she is active on Instagram and Twitter. 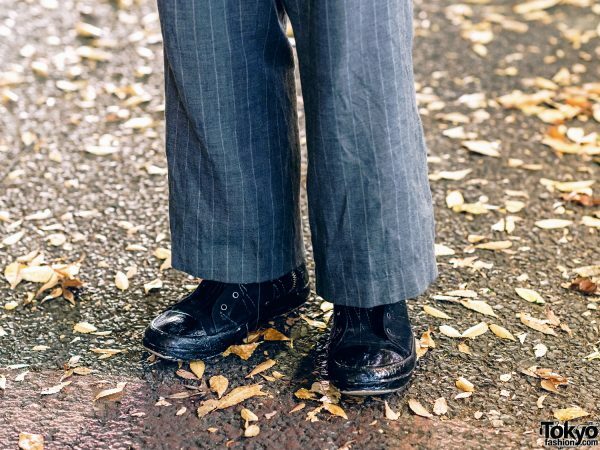 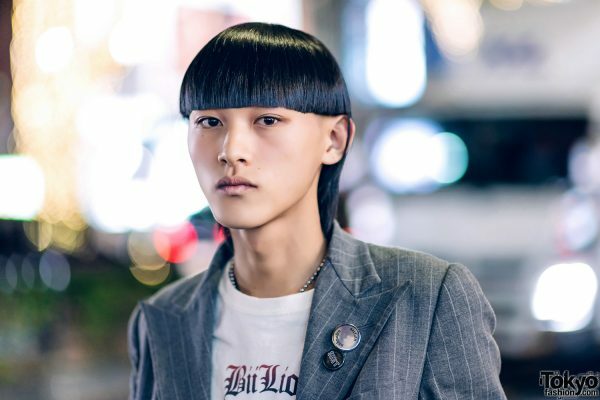 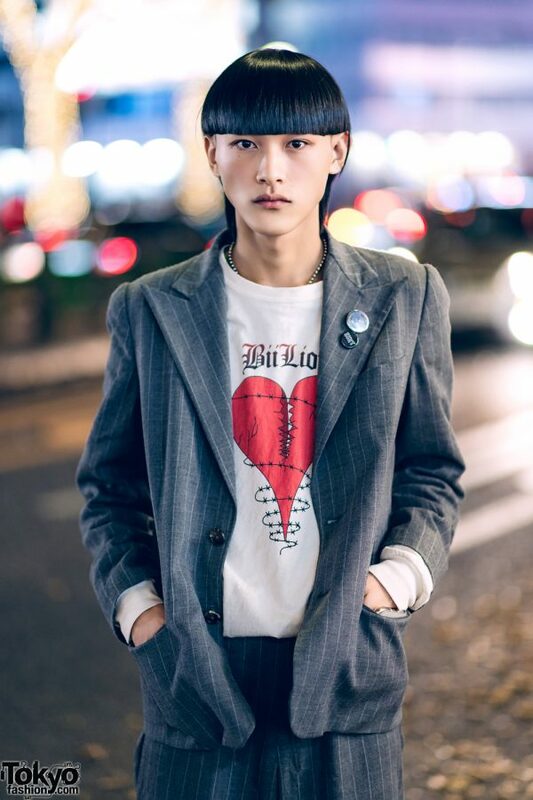 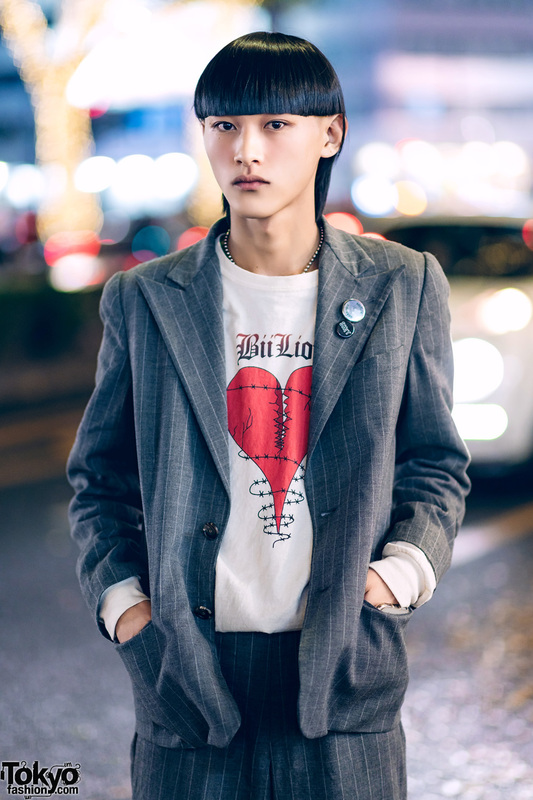 Mamichi – a 20-year-old web designer – is wearing a grey pinstripe suit from Ralph Lauren, which features notched lapels pinned with a couple of statement badges from Unknown Section. 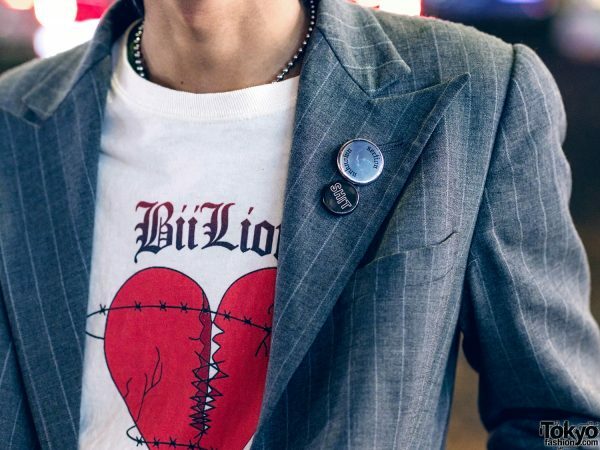 He styled his suit with a white Billion Tokyo sweatshirt with a broken heart print, and wore black denim sneakers from Rick Owens. 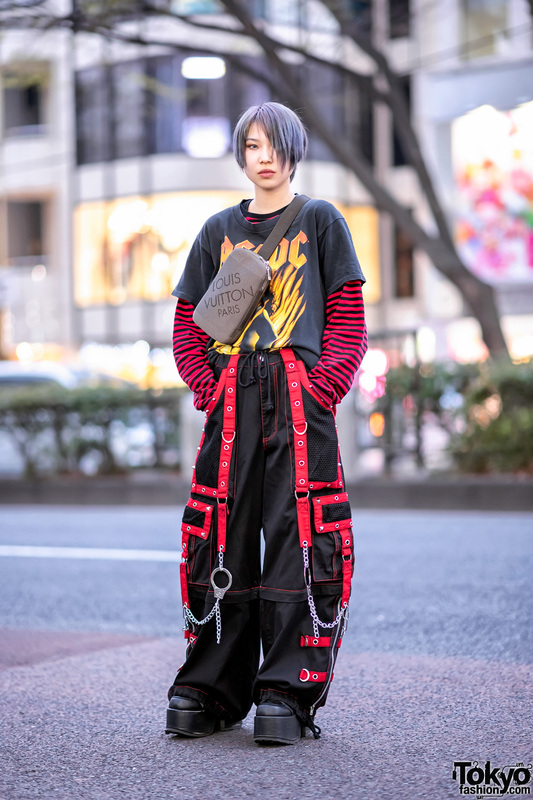 A dog tag necklace completed his streetwear style. 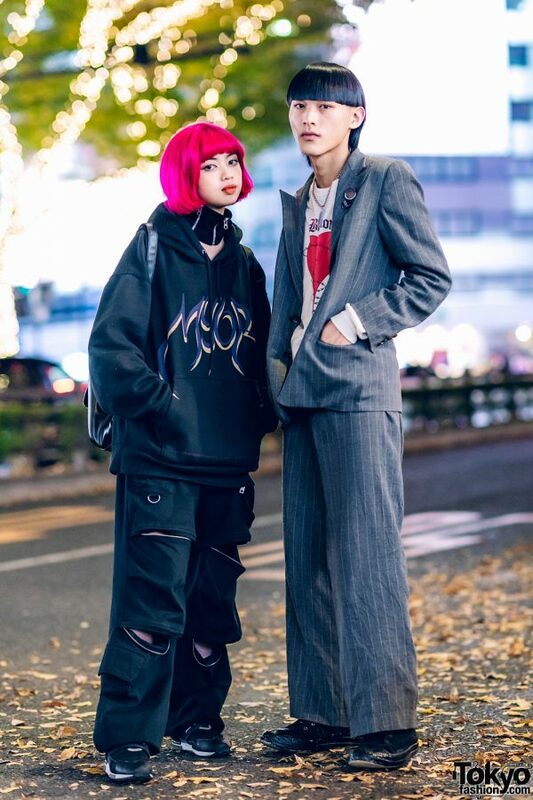 Follow Mamichi’s style feed on Instagram.